There's colds and coughs here at the moment. And rainy coolish days. 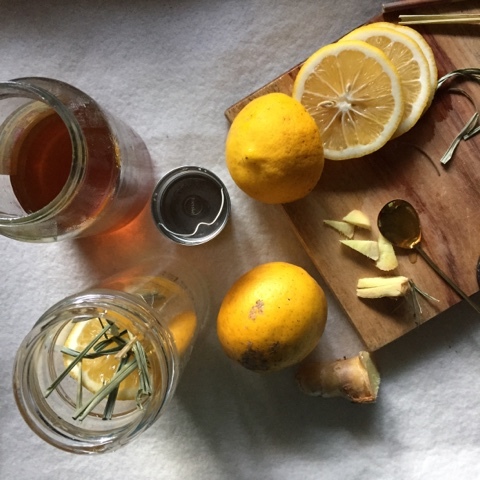 Perfect weather for gathering lemons from our trees, lemongrass from my friends garden and raw honey and organic ginger from the farmers market. A remedy my mama used to make for us to nourish our bodies and warm our hearts. 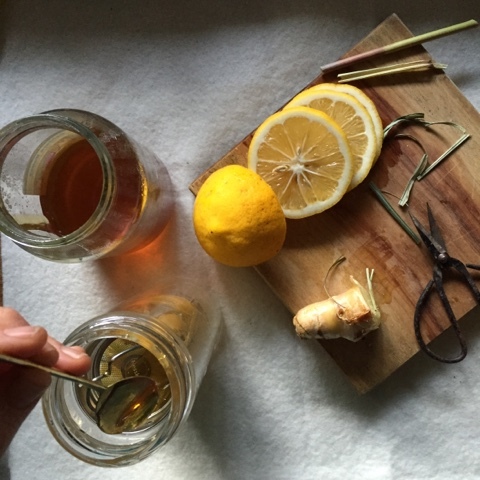 Holding a cup of warm lemon, honey & ginger is almost like a hug. •fresh lemons, any sort will do. At least 1 per person or more if you like it tangy. •honey, about 1-2 teaspoons each. 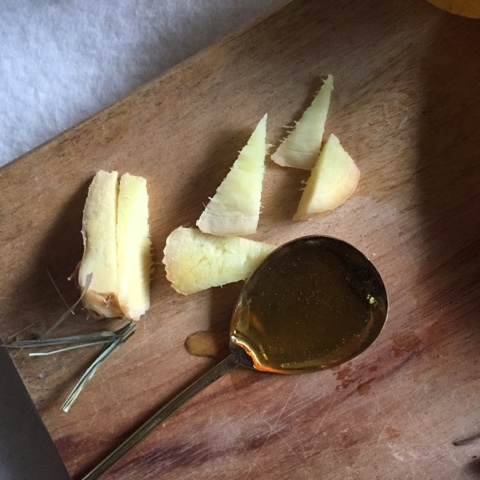 Please use raw and local honey - it's better for your body as it still contains all the real nutrients (not stripped bare like from the supermarket), and supports a local farmer and his bees. •a small knob of fresh ginger. 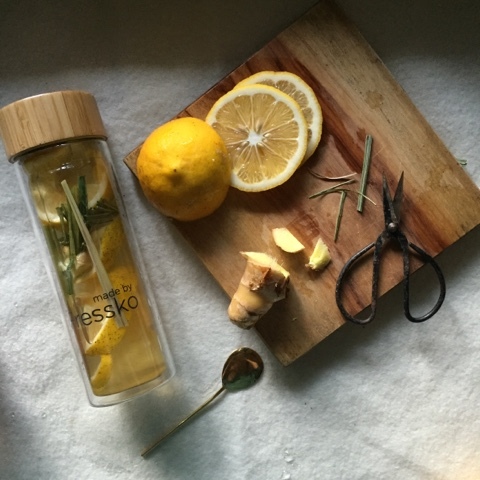 •some fresh or dried lemongrass (optional). 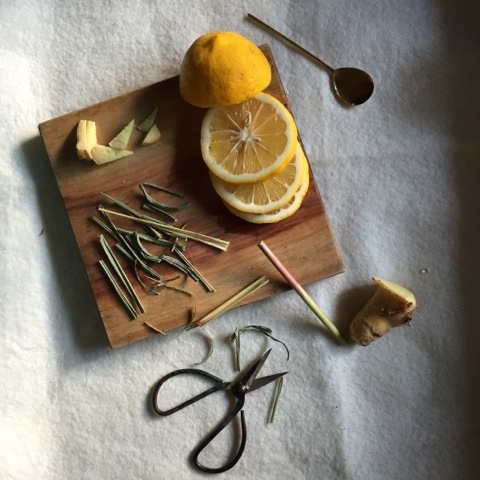 Squeeze the lemon into a cup, smash the ginger to release the flavour and add along with the cut lemongrass. Pour over not-quite boiling water and add honey to taste. Cosy up with your favourite handknit or crochet blankie and snuggles with your little ones.